Intros.gr has re-designed and re-developed the website of Paradise Park, incorporating internet marketing strategies, and S.E.O., providing web hosting as well. In order to develop the new website design requirements, Intros.gr used last stable version of Joomla CMS, with K2 component in conjunction with K2 responsive scroller. We used Joomla in order to provide an easy content management website. 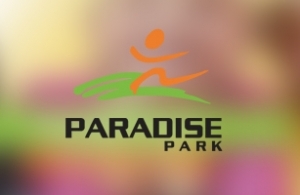 Editing in website can be performed by Paradise Park staff, even if they have basic knowledge of computers and internet. It is obvious that, we applied all necessary techniques of Responsive Design, in order to give access to the website through mobile devices. We stayed focused on Search Engine Optimization. Users can reach Paradise's Park website easily and rapidly. With the redesign and development of the website, we manage to make the website appear in the first results on users’ queries. The next benefit, we gained from the project, was to keep users in the website by helping them to find out that they are looking for and to decide the best option for them. Users visiting the website do not abandon it, disappointed by its complexity. Viewing the image below you can observe that SEO techniques and Internet Marketing strategies that we follow already helped Paradise Park new web presence to rise with more than 4.000 visitors came from Organic Searches! Google Analytics Report for the first month! The philosophy of Intros.gr is to provide its services to its customers, for business or educational purposes. Do not hesitate to request a quote for the design and development of your own idea. And if your are looking for more information, contact us. We are here to answer any questions you might have.